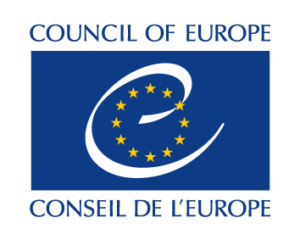 Publication co-funded by the Erasmus+ programme of the European Union and the European Youth Foundation of the Council of Europe. The access to and the use of this website are subject to the following Terms and Conditions. Each author or contributor to BullsEye and the domain www.bullseye-magazine.eu remains responsible for the content and every opinion expressed in articles. Articles and opinions published are not necessarily reflection the position of EDS, the EDS Bureau or the Editorial Team. The reproduction, edition and distribution of the texts and created by the authors of this site and made available on this site beyond existing copyright law is permitted provided written permission is granted by EDS, data integrity maintained and BullsEye copyright duly indicated. Downloads and copies of content can solely be used for private, not commercial use. Content that was not created by the authors of this website is indicated as such and their copyright is respected. Nonetheless, should any copyright infringements be noted, please contact EDS forthwith and the relevant content will be removed. When in doubt about intellectual property, contact EDS at students[at]epp.org. EDS aims for communication and information as correct as possible but can never guarantee the accuracy, completeness, suitability of the information in the magazine or on the websites for any use and cannot be held liable for this. EDS is also not responsible for possible direct or indirect damage or any damage caused by the mistake, incompleteness, omission etc. Hence, the use of this site and of the information contained thereon occurs exclusively at your own risk. The author of the article, the information provider or the photographer are responsible for the articles, the information and the photos. EDS is not in any way liable for temporary or permanent damage or defects to the data or the computer equipment of the user by the use of the use of the websites. EDS is not liable for the possible transfer of viruses through the websites. EDS endeavours to secure the website by all reasonable means, seeking to limit possible inconveniences caused by technical defaults to a minimum. Both parties can nonetheless not exclude the possibility of wrongful or unauthorised interventions. For these reasons, EDS cannot guarantee unimpeded access to the website. Both will not be liable for any indirect damage or consequential damage. Nothing in these Terms and Conditions excludes the liability of EDS (where applicable) for wilful intent, fraud or gross negligence. This website contains hyperlinks to other websites and web-based platforms over which neither the BullsEye team nor EDS exercise any control, be it with respect to the content or technical questions. The BullsEye team and EDS will not offer any guarantee with regard to the completeness or the correctness of the content, nor with respect to the availability of these websites, and therefore does not accept any liability for any direct or indirect damages resulting from the use thereof. The sole responsibility for the content and technical functionality of external websites lies with their respective hosts. The use of the BullsEye website is generally possible without the provision of personal data (as in name, address and email address). Where such information may be requested, it occurs on a voluntary basis. Such data will not be made available to third parties without your explicit permission. The website gathers general anonymous information (such as date of visit, duration of visit, number of pages viewed during the visit, browser and operating system used to view the site) only for building basic statistics of the visits. It is however noted that the security of communication via the internet can never be fully and unreservedly guaranteed. Complete protection of provided data from the access of third parties is hence impossible. EDS hereby explicitly prohibits the use of data published as part of these Terms and Conditions for unsolicited informational or commercial purposes. EDS reserves the right to initiate legal proceedings in the case of infringement of this clause. These Terms and Conditions are governed by Belgian law. The invalidity, nullity or non-executable nature of all or part of one of the provisions above will not lead to invalidity and/or unenforceability of other provisions. By using this website you agree that in case of a dispute, the courts of Brussels shall have sole jurisdiction.